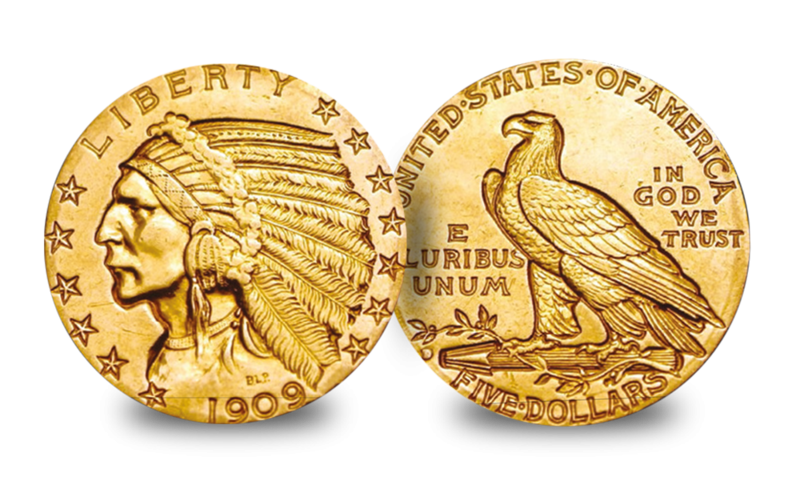 The Indian Head gold coin series are among the most interesting coins ever produced by the United States Mint. This set includes the three Indian Head denominations - the $2.50 coin (quarter eagle), the $5 dollar coin (half eagle), and the $10 coin (eagle). The Indian Head $5 and $2.50 eagles feature America’s first and only incuse coin design, which makes them highly sought-after by collectors across the globe. After his inauguration President Theodore Roosevelt decided to improve American coinage and had the Mint engage his friend, the sculptor Augustus Saint-Gaudens in 1905. He called for the coins to embody the United States’ national identity, its growing pre-eminence in the world, and its long-held values of liberty and freedom. 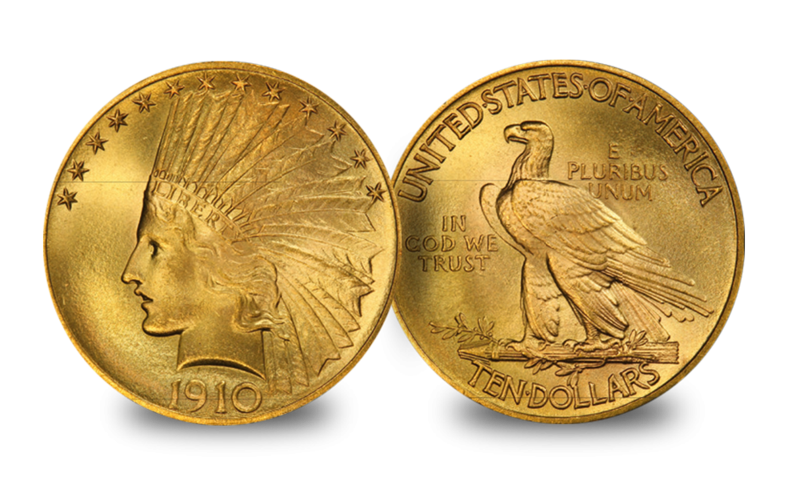 Gaudens' design for the eagle featured Liberty wearing an Indian headdress on the obverse and a perched bald eagle on the reverse. 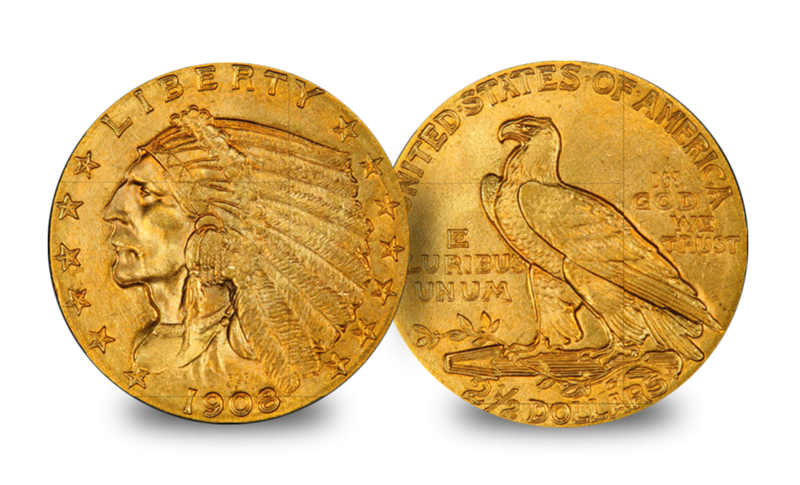 Gaudens died however before being able to complete the design for the smaller denominations. Completing the job fell to the sculptor Bela Lyon Pratt – the result broke with tradition in several ways. His design was the first to replace the traditionally female personification of Liberty with a male portrait. The design was incuse – a feature seen on ancient coins but never seen before, or since, on US circulating issues. Incuse is a recessed design where the 'flat' surfaces are the highest points of the coin, and the 'features' and 'lettering' are recessed below the coin’s surface. Moreover, the coins were the first to feature the portrait of a real Native American, based on a photograph in Pratt’s collection. Indian Heads are highly prized not just due to their high 90% gold content but due to their rarity and their unique incuse design.